Elizabeth Huston has been fascinated by contemporary art since she can remember. She grew up on Washington State’s Olympic Peninsula, a surprisingly culturally active area. The daughter of two professional musicians, she watched in awe as her parents took her to incredible events with throat singers, experimental art installations, and 1990s cutting-edge electronic instrument technology. Eizabeth’s parents were the founders of the first-ever youth symphony in their town, and a teenage Elizabeth was often tasked with administrative duties including mailing marketing flyers, making copies, organizing refreshments, and creating room schedules, sparking an interest in production work. Elizabeth arrived in Philadelphia in the summer of 2010. Here she met a dedicated art patron merely by chance. He invited Elizabeth to attend the many Philadelphia Fringe Festival performances that he was interested in. She saw performances by Pig Iron Theater and Lucinda Childs Dance, among many others, which showed how projection, costuming, lighting, and staging can change how you interact with performance. Elizabeth immediately began to think about how what she had seen could be applied to music performance, with its traditionally stuffy and plain staging. In 2012 she created A Change of Harp and launched her first concert series which explored what composers saw inside their heads as they wrote. 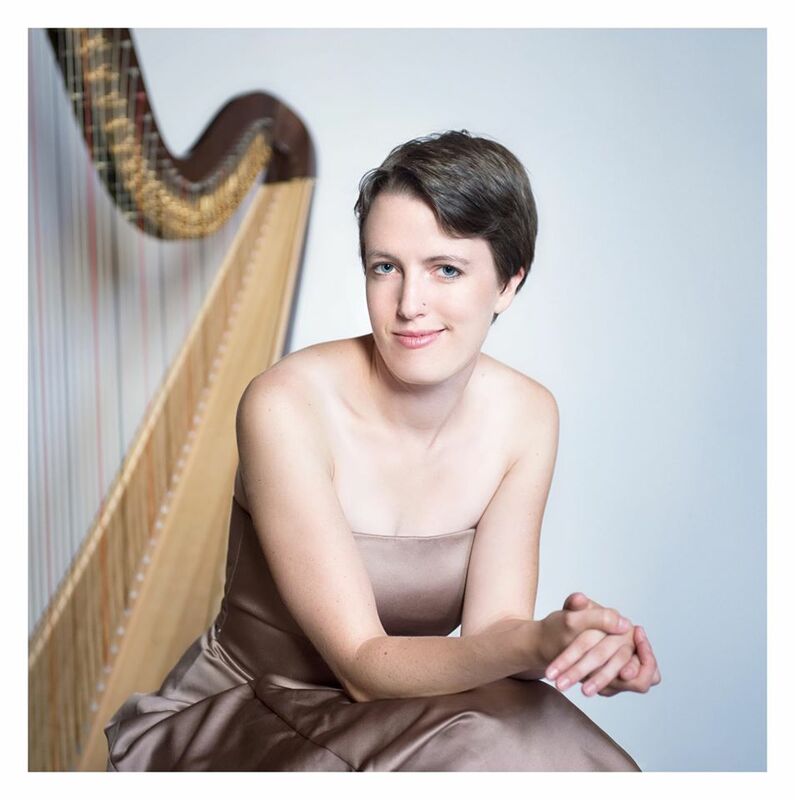 Elizabeth interviewed six local composers about six pieces for solo harp and created visual accompaniments for each piece based on what they had said. This resulted in a performance of dance, projection, theater, and harp which took place during the Fringe Festival: the festival which had so inspired her. The success of this performance made Elizabeth understand that she had touched on a need in the community, and she began exploring other performance styles, putting together multi-media solo harp showcases all over the city. She has since started the Arcana New Music Ensemble in collaboration with Bowerbird, produced numerous shows that explore new stagings of contemporary music, started a brand new harp program for Play on Philly, started a summer harp program for inner city youth, and teaches through her private studio. Elizabeth currently resides in Los Angeles.